Nov 1, 2013 | by Darcy Blake | I’m so thrilled to be talking about Urban Poling Inc., a Vancouver, BC based company founded in 2003. Urban poling, also known as Nordic walking, fitness walking, pole walking and exerstriding, is a low-impact, full-body workout that can be done anywhere you can walk. Urban Poling’s core philosophy is to promote fitness through education and distribute the best Nordic walking poles in Canada. That, they do! Urban Poling was founded by Mandy Shintani and Graham Watts. Mandy is an occupational therapist who is considered to be one of the leading experts on the health and fitness benefits of urban poling. Graham’s breadth of experience in business development and computer technology is helping to grow Urban Poling across Canada. But what about us in the United States? We love them too, and it is just a matter of time before they are as widely distributed in the US as they are in Canada. Up to 20% more oxygenation of your blood! Nordic pole walking gives you more than 1800 abdominal contractions per mile and increases your caloric intake by 20% over regular walking. 30 minutes of Nordic pole walking is equivalent to 50 minutes of walking without poles. Nordic Poling’s unique strapless handle design combined with the proper Rutlin Technique of Nordic pole walking will help you reach your weight loss and fitness goals faster and easier. Check out these great easy to follow video user guides. Urban Poling makes a special pole called the Activator for individuals with chronic conditions, those recovering from injuries as well as older adults who require more stability and balance when walking. It is an excellent choice for people with mild Parkinson’s Disease. 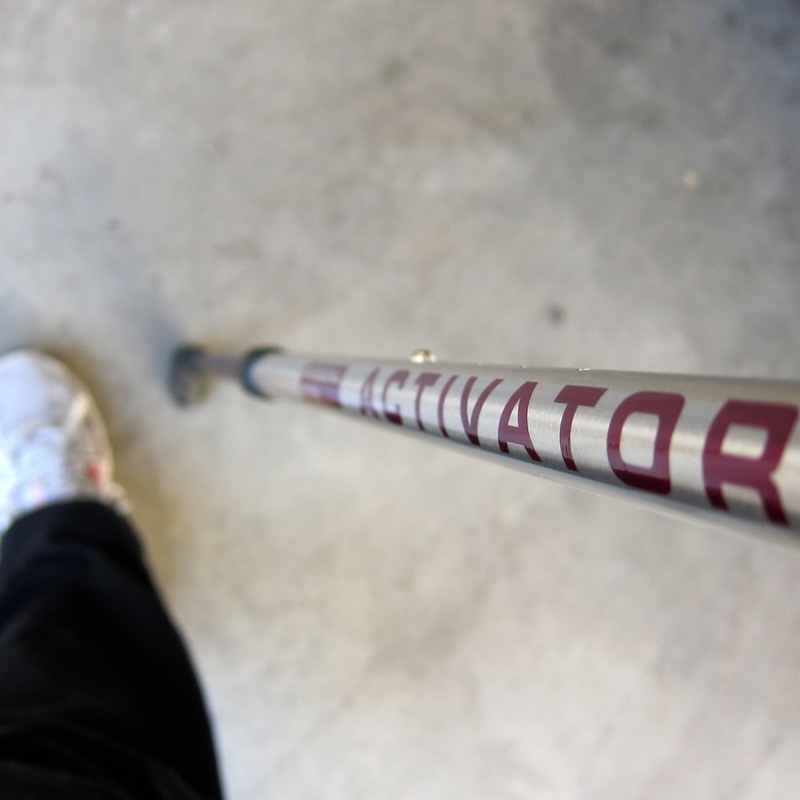 Walking with the Activator poles reduces impact on your knee joints, improves core strengthening, improves posture and helps to promote a functional gait pattern. You can feel confident using the Activator Poles and technique because they were designed by an occupational therapist with input from a team of physiotherapists, occupational therapists and kinesiologists. The technique was developed to increase stability while still providing a full body workout. Effective gait retraining tool for the purpose of rehabilitation. Exercises the upper body as well as the legs. Reduces stress on hips and knee joints. - Increases stability and balance. Increases cardiovascular and calorie expenditure compared to regular walking. Eases hill climbing and allows user to walk for longer distances with greater speed. These poles will inspire even the most sluggish couch potatoes to rise up and use them, because the results are so phenomenal. You will feel better almost immediately once you start using them, and that, fellow PD people, is a glorious achievement! this is really great! good for balance and upper body movement… a great way to improve mobility and get people out moving!